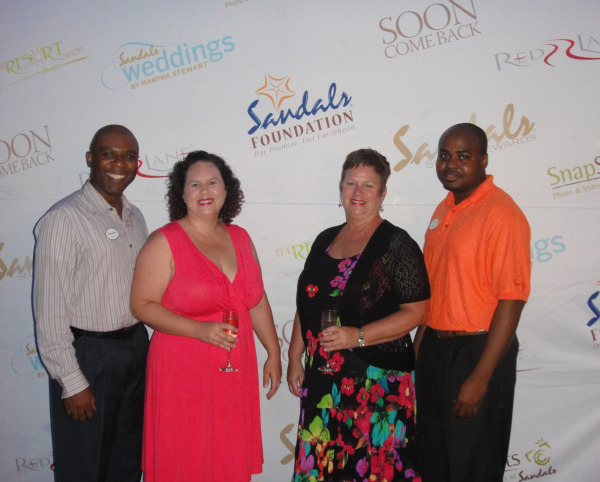 MARYVILLE, TN, 14 November 2011 – Robbie Phillips and Kali Hanson of Royal Travel are now certified by Sandals Resorts, the World’s Leading All-Inclusive Resort Company, as Sandals WeddingMoon Specialists. Held in Nassau, Bahamas on October 30, The Sandals WeddingMoon Specialist training provides travel agents detailed information on the unique Wedding and Honeymoon programs offered within the extensive Sandals Resorts International portfolio – comprised of Sandals Resorts, Beaches Resorts, and Grand Pineapple Beach Resorts. Personally-selected to participate in the special training, Phillips and Hanson were among an elite group of travel agents who are already qualified as Certified Sandals Specialist (CSS) agents and recognized as experts in the world’s only Luxury Included® Resorts. Now, Phillips and Hanson are 2 of only 75 agents in the US also certified by Sandals Resorts as experts in the varied destination wedding & honeymoon offerings at the resorts, including Sandals Weddings by Martha Stewart™, Romantic Retreats at the Red Lane® Spa, Island Routes’ Romantic Routes Adventure Tours, exclusive honeymoon amenities and much more. According to Phillips, understanding the nuances of each brand within the Sandals Resorts portfolio is critical to her customers. “My clients rely on me to help them make the best choices for their Destination Wedding and Honeymoon. It’s my job to ensure that every hard-earned dollar they spend is giving them true value to create the ultimate wedding experience that is completely customized to their taste & personality as a couple.” “I am thrilled to have been a part of this certification course, and I have come away with a wealth of knowledge. My clients want to feel confident that the information they receive is based on expert knowledge and now, my Sandals WeddingMoon Specialist designation does just that,” said Hanson.